Want to Sell More Products Then Make Them Easier to Find! Have you ever wondered why some online shops seem to have incredible success with their sales, while others just can’t seem to convert? Is your e-commerce store one of the latter? If so, it’s highly likely that the reason has very little to do with how much traffic you have. In many cases, the problem is simply the fact that potential customers aren’t finding what they’re searching for. To be fair, that statement actually covers a lot of territory. I don’t want to be vague about this, so let’s look at a few of the reasons that visitors to your site don’t find what they want. You don’t offer what’s trending. One of the keys to success with a web store is knowing what’s popular and when. Buying trends on the Internet change regularly, based on several factors, including other people’s marketing. Knowing what’s popular with your visitors means you can capitalize on those trends by optimizing your product visibility. Not knowing means those visitors that do find you won’t stay long. Your inventory isn’t optimized for the visitors you’re getting. Traffic generation shouldn’t be a haphazard process, nor should selecting the products you plan to sell. How you decide to target your traffic campaigns and adjust your merchandising depends on many criteria. Without data and a way to analyze it, there’s not really a good place to start. You stock the right products, but people don’t find them. Notice that I didn’t say “can’t find them.” That’s an important distinction, because your visitors won’t waste time using a site search engine that doesn’t locate what they want quick. They also don’t want to bother with looking through all the items in your collections to locate the right one. 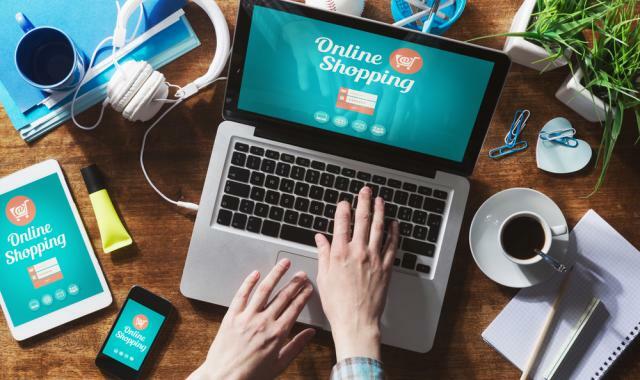 Today’s internet shopper expects instant gratification. If he or she doesn’t get it from your store, getting back to the search results that brought them to you is only a matter of a few clicks at most. You don’t have a lot of time to show them the right items. So, you see, the bad news is that no matter how little competition is out there for your shop, if a shopper finds it faster somewhere else, you’ll probably lose a buyer. The good news is, there’s a lot you can do about it. The GREAT news is that there’s a fantastic, simple, add-on solution that can help with every aspect of the process. Give your visitors an effective, intuitive on site search engine. Gather data about your customers’ search behavior. Place the most search-for products prominently. You’re skeptical about that last statement, aren’t you? I get it and I don’t blame you. There are a lot of so-called “all-in-one solutions” out there. I’m about to tell you why this one is truly different and let you decide for yourself. Ready? It works like a website search. Well, technically, that’s exactly what the front end is. It’s not like the others, though. This application brings a fresh new shopping experience to your visitors. It learns as people search and builds a comprehensive suggestion database. As users type, it delivers related searches that can be clicked on at any time to save time. Because it’s cloud-based, it does all this with incredible speed. It’s optimized for mobile clients, too. It works in the background for you. While you’re delivering an optimal shopping experience for your visitors, Site Search will be collecting valuable data from all of their interaction with the search engine and your site. You can access that information at any time, in your private dashboard, where you can run one-click analyses. You then use the analytical info to tailor your promotions, product placement, inventory and even fine-tune the application to increase your conversion rate.For all its outward simplicity, this app is one of the most sophisticated tools you can add to your e-commerce site and it will make a difference from the first day you put it into operation. There’s not a better site search tool or merchandising aid available. It won’t overtax your server. Perhaps the best feature of this innovative tool is the cloud-based operation of all the functions. It won’t place any additional load on your web server, so your site stays fast and you don’t get into hot water with your hosting service. It’ll be up and running in no time. On average, integration time with your site is about 2 hours. Remember, there’s no need to make core programming changes to the platform, so there isn’t any need to worry about site crashes or major service delays.